My sister has graciously volunteered to woman a second booth for me at the Fremont Sunday market while I am at other holiday shows this season. That means I need a second display and enough merchandise to fill it!! I use 8 black vinyl shutters to display earrings and bracelets in my booth. I had 4 more shutters in my studio I used for storage. I have converted those 4 shutters to ones that can be used in a second booth. Each shutter holds 42 pairs of earrings and 24 bracelets. Are you doing the math? That meant I needed 168 earrings and 96 bracelets to fill the new shutters (not to mention filling the gaps in the existing shutters). I competed my task yesterday. No wonder I feel like a beading fool this week!! 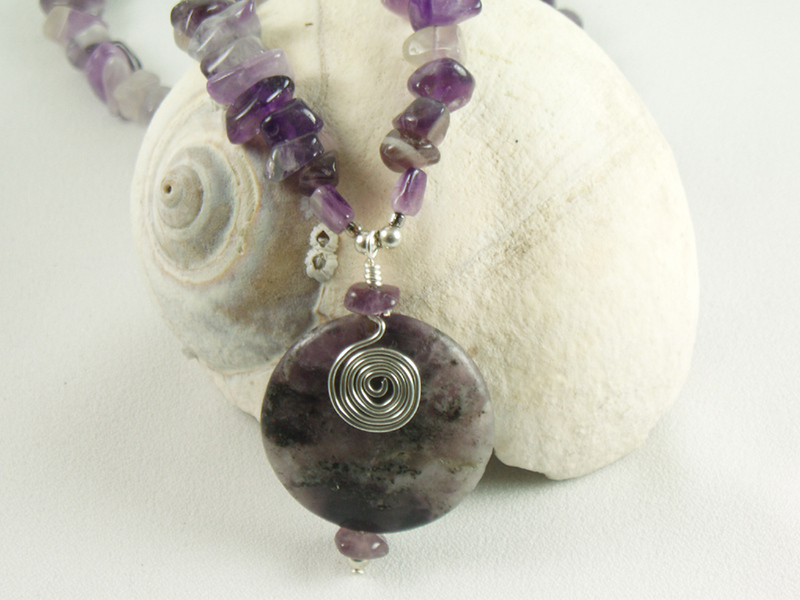 Purple is my most popular color for earrings. I met a woman yesterday who has combined her artistic talents with her love of motorcycling. Being a long-time motorcyclist myself I thought this was pretty cool. She uses old motorcycle parts to make clocks. You can see her work at www.recycleclocks.com. 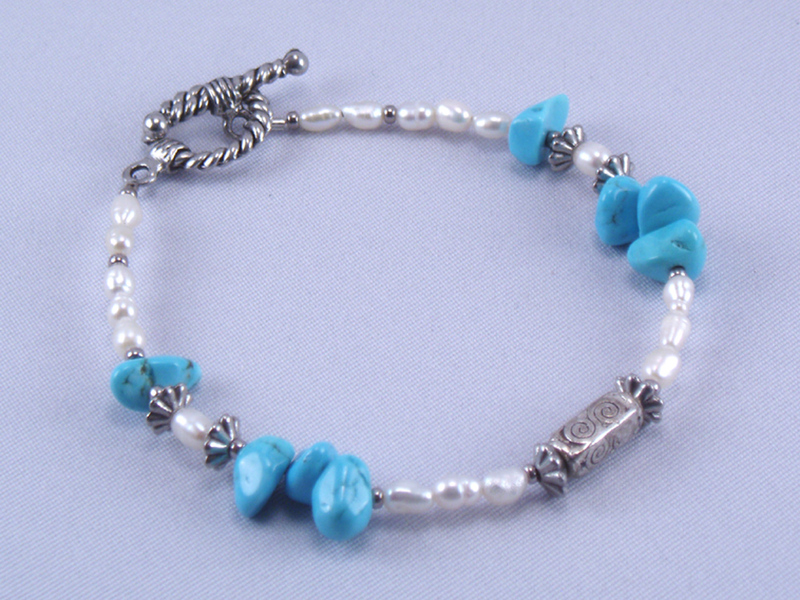 Great gift ideas!! I loved these small jasper cubes. 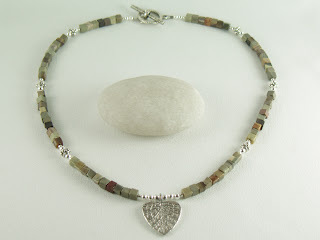 I used the last of them recently to make this necklace, and it sold on Sunday at the Fremont Sunday Market. I was sad to see those beads go. But, at least I made myself one before they were gone! Red jasper, Afghan serpentine and copper chokers. 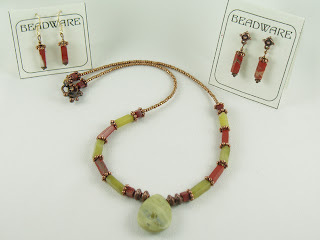 More red jasper and copper. Whoops - forgot to adjust my camera so they are a bit bluer than they actually are! 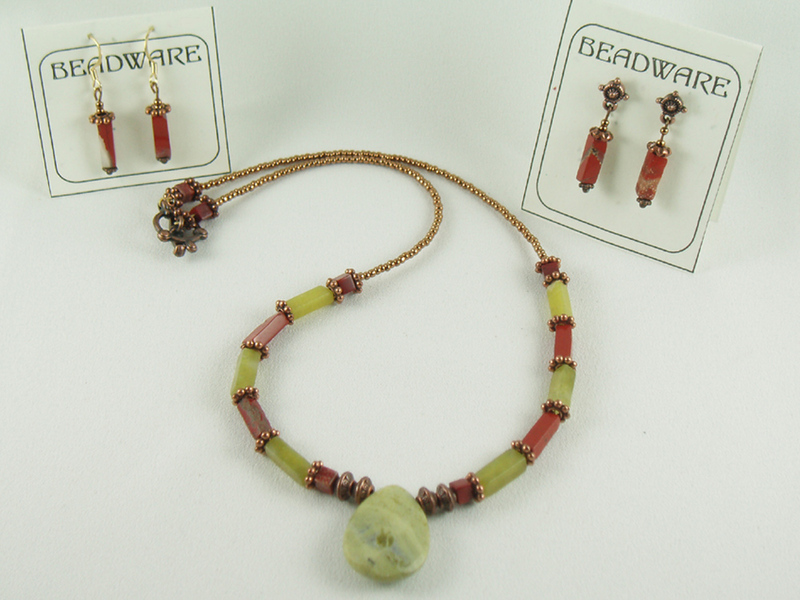 These are green jasper and copper. 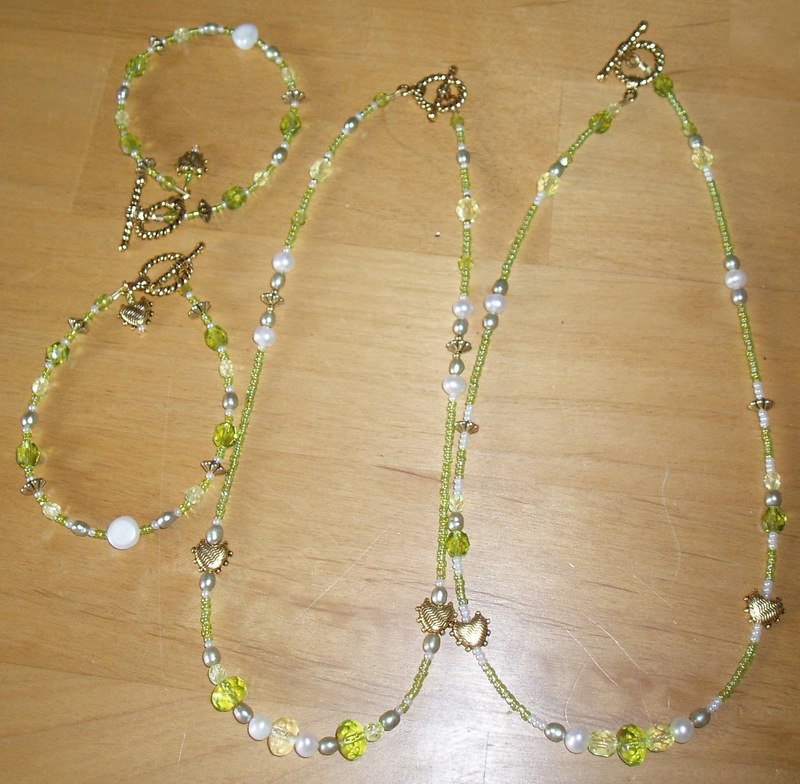 I liked this necklace so much I had to make two, and a bracelet to match. 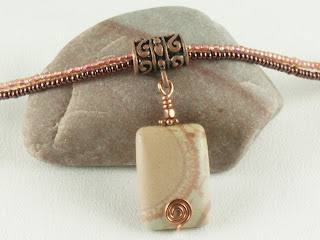 Red and green jasper with copper. 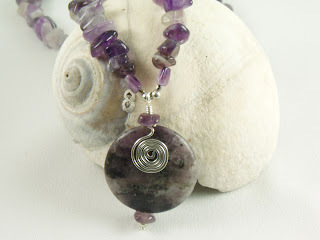 Beadware will be at a many holdiay events this season. I will continue to have a booth at First Thursday in Occidental Park and the Fremont Sunday Market. If I am not able to be there you will find my sister woman-ing my booth (thank-you!). In addition I will have a booths at North Kitsap HS Holiday Fest, Bremerton Food & Gift Fair, Peninsula HS Winterfest and the Victorian Christmas in Puyallup. To keep track of where you can shop Beadware in person go to Beadware's events on Facebook. Last month at an event in Bremerton my tent neighbor was Dixie and her beautiful glass art. Eastern Wind Glass Studio is located in Claywerks on Callow Ave in Bremerton. Part store, part working studio, you can take classes on making stained glass, fused glass and mosaic works of art. 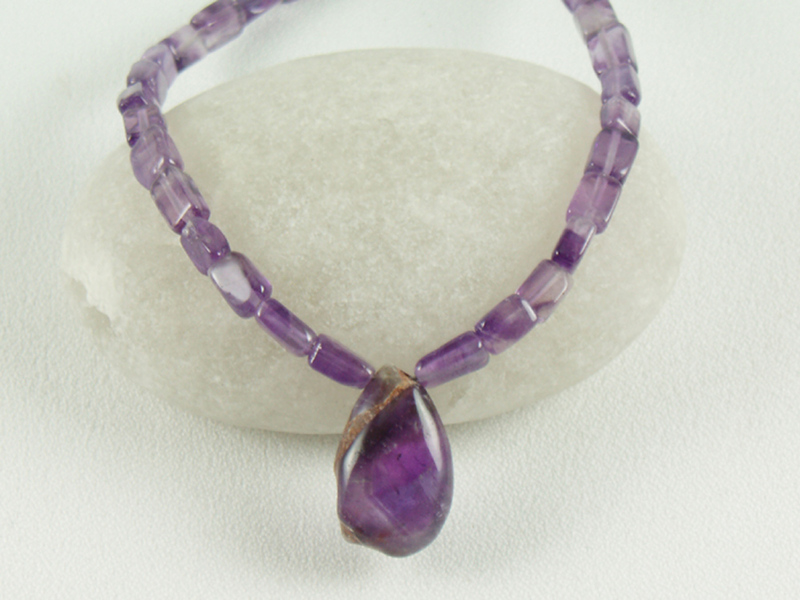 Eastern Wind Glass also carries supplies to make your glass art. Or you can shop for hand crafted glass art for gifts. Learn more by visiting the Eastern Wind Glass website. Fun wind chimes and window art. A friend asked me to turn this necklace into a bracelet for her and then I could keep the left-over parts. I really liked this color combination and it resulted in several new necklaces from the left overs. The one in the center sold the first time it was on display! 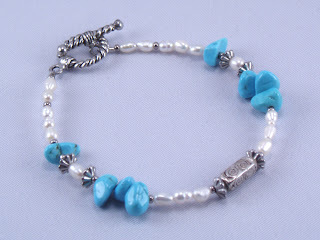 The bracelet I made for my friend is on the right. 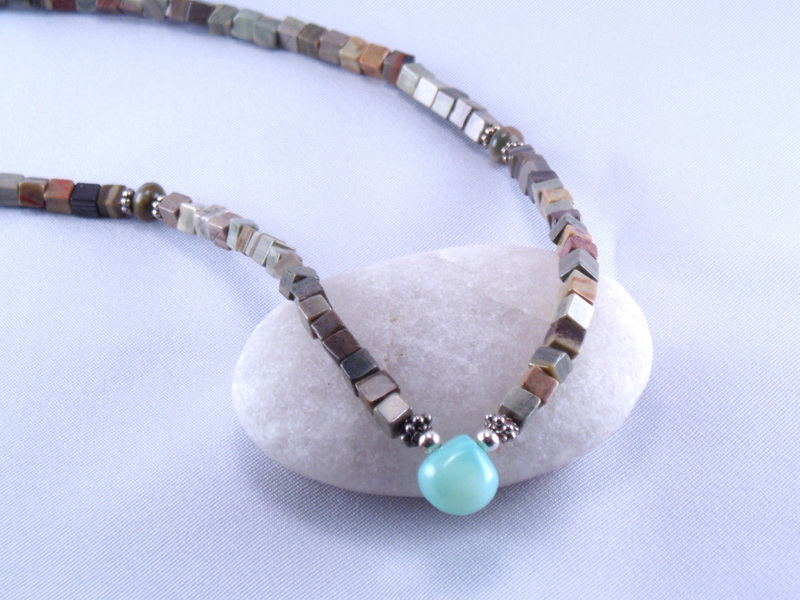 The necklace on the left has a magic jasper teardrop, bronze colored pearls and magnesite, with copper seed beads and accents. As long as I was on a roll I continued with the blue, brown and copper theme. 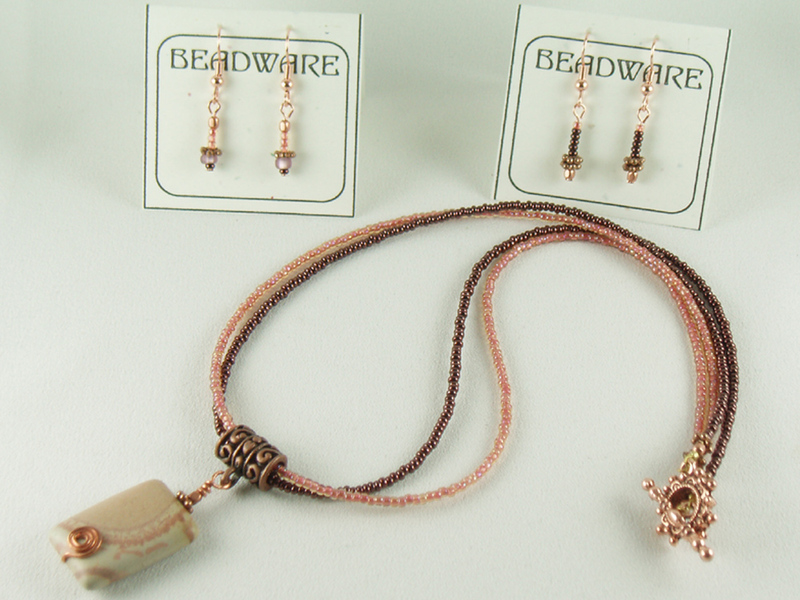 The necklace on the left has a magic jasper teardrop with copper accents and seed beads. 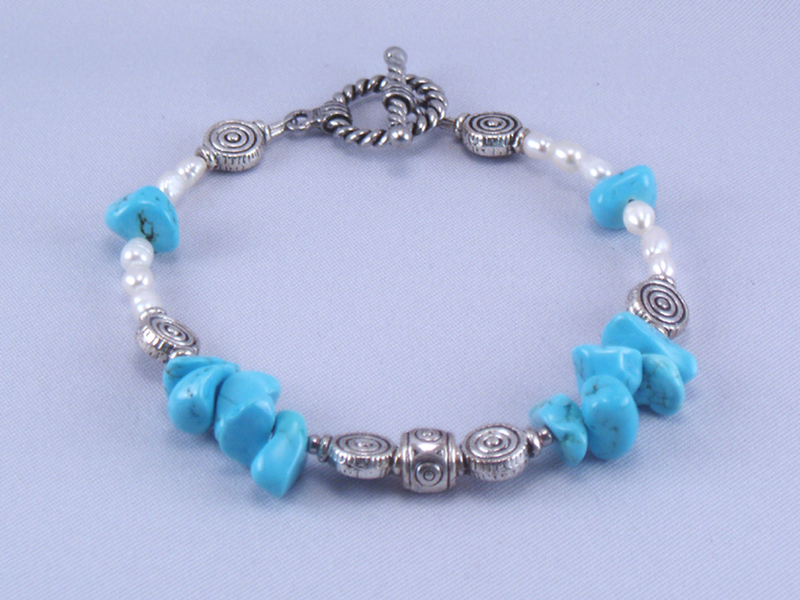 The earrings use copper wire, copper and glass beads and the blue is magnesite. 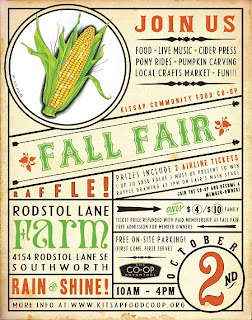 Join me Saturday at the Kitsap Community Food Coops annual FallFair at Rodstol Lane Farm. The $4 admission supports the Coop (free for Coop members). 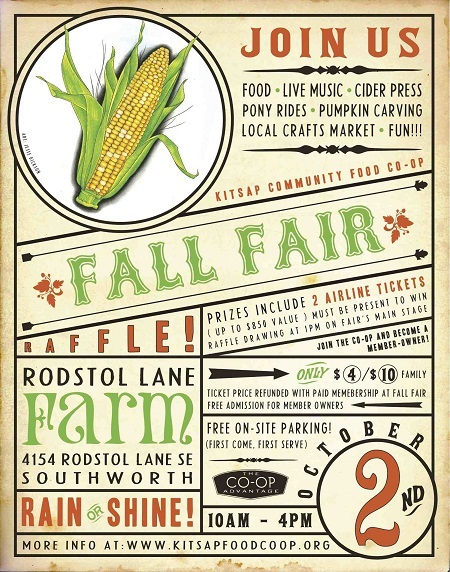 Food, music, cider press demos, pumpkin carving, arts & crafts (including Beadware!). A fun way to spend a beautiful fall day.